"The most exciting, novel and greatest ride on Earth!" 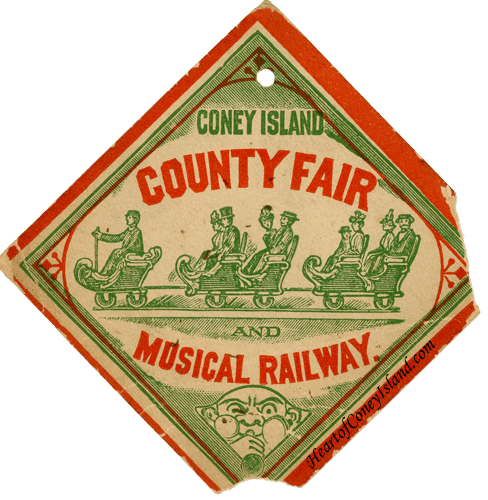 Jackman, a Coney Island amusements entrepreneur, owned several rides, this one and Shooting the Rapids included. Jackman was pretty well connected within Coney Island. 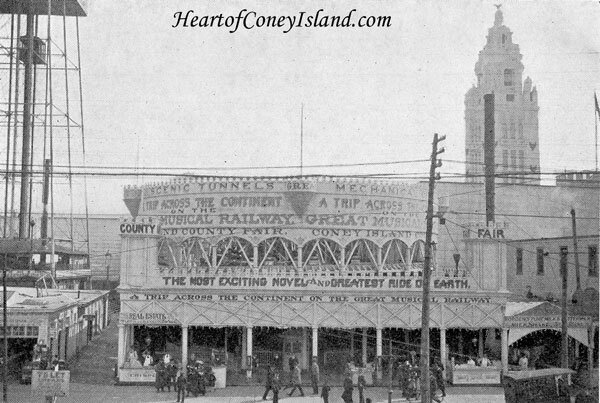 In 1903, for example, he formed the Coney Island Board of Trade along with Tilyou and Fred Thompson. And Jackman sure knew how to market, even if he was a bit over the top. This ticket is particularly interesting because it shows the brakeman. He's the serene-looking fellow in the official cap in the front car, holding onto the brake pole. Brakemen were a big selling in the early 1900s, when safety was a major concern with coasters because the under-carriage wheel system for keeping cars on the tracks hadn't been invented yet. Brakemen's duty was to ensure that the ride went around corners at a safe speed. In reality, many brakemen, out of boredom or otherwise, did little to decrease speeds and increase safety. As several riders who were ejected out of Roosevelt's Rough Riders electricity-powered coaster found out, some actually made the ride more dangerous by accelerating at the wrong times just to keep things interesting. 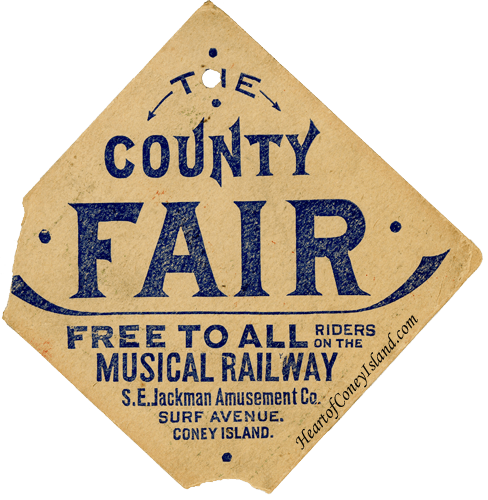 Your guess is as good as mine as to what exactly the County Fair was, but with Jackman involved, it's probably safe to say that whatever it was, it didn't end up being as innocent to one's pocketbook as the reverse side of the ticket claims. From the photo, the coaster was located in front of Dreamland on Surf Avenue, just to the west of the Iron Tower. It was replaced by Pike's Peak, another Jackman coaster. In the 1905-6 map, I've labeled as Pike's Peak for simplicity, though it's not obvious which of the two it is at that exact moment.